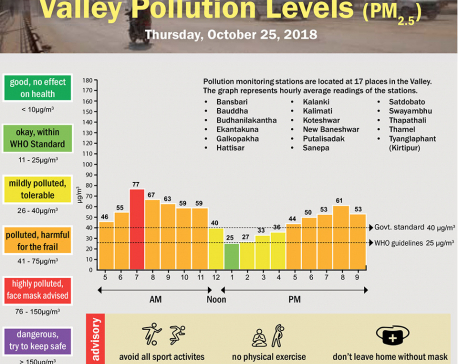 KATHMANDU, Nov 22: At the age of 76, Musa Gurung still rues the untimely death of her six children, all of whom, she feels, were victims of respiratory diseases. Until a month ago, her whole house used to be filled with the smoke from fire-woods inside the kitchen. “The whole house would be full of smoke while cooking. 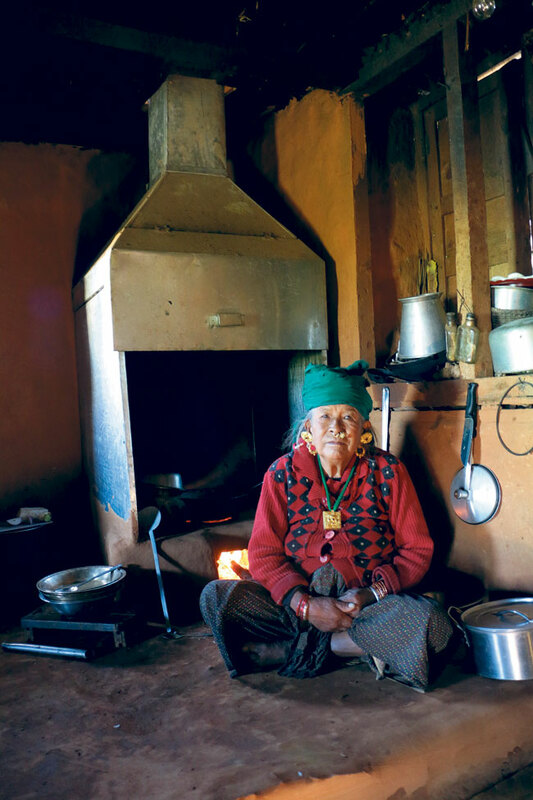 Sometimes when the fire-woods were not dry, the smoke inside the house would become intolerable and I would not even see if the food was cooking,” said Gurung, a local of Patle village in Dhading district while narrating her experience of using traditional open firewood stoves. “Its not just me, everyone who cooked in an open firewood stove would relate to the pain and strain that comes with using them. At the end of the every meal, I would be coughing and swollen eyes,” she says adding that lately she had realized through a medic that the smoke had further deteriorated the cataract in her eyes. 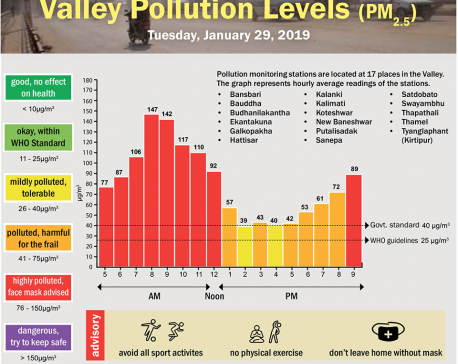 World Health Organization (WHO) has estimated the annual number of death from indoor air pollution to be over 22,800 in Nepal. Realizing the adverse impacts of indoor air pollution, the government, in 2013, had set the ambitious target of making all kitchens 'smoke free' by 2017, which is unlikely to be met as the deadline closes. Aligning with the government's objective Practical Action has been working towards promoting improved cookstoves in rural areas of the country. The organization claims that that till now about 13,000 households in various parts of the country have directly benefited from its projects. As part of the drive, its Result-Based Financing for Sustainable Hood-Stove Market Project aims to directly assist 36,000 households in installing improved cookstoves. By providing access smoke-hoods and improved stove running off locally-available biomass the project is expected to improve health and livelihoods of women and their families in rural areas. Presently the project is working in Dhading, Gorkha, Rasuwa, Nuwakot and Makwanpur districts. 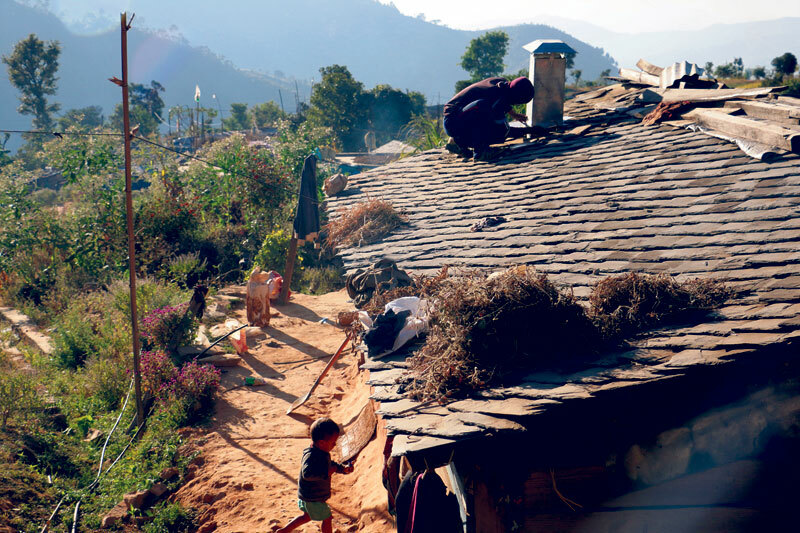 Project Manager Min Bikram Malla claims that the stoves and chimney are very much effective in reducing the indoor smoke and that too at relatively affordable costs. “Costing as economical as Rs 4,000 - Rs 8,000, the improved stoves use the smoke-hoods to draw smoke up and away from the home, reducing indoor smoke by 80 percent,” he said. Instead of providing these stoves free of cost, the NGO partners with local cooperatives and entrepreneurs by providing them with technical and financial assistance. As part of the technical assistance the project provides its local partners in manufacturing such stoves and hoods by using locally available resources. And as part of the financial assistance, it helps the partners in establishing their products in the local market by providing incentives for every sale of the products. “We provide local entrepreneurs with training to manufacture such stoves and assist them to sell it in the local market at subsidized cost. Once the sale is verified, we provide incentives to them to cover up their actual costs,” said Andrew Heath, communication officer of the parent-branch of Practical Action in UK, who was recently in Nepal to oversee the projects progress. “Our principle is that people appreciate it more when they have to pay for it. Therefore, we only empower locals to manufacture such stoves and provide them with subsidy so that locals can have it at a very economic rate,” he said, adding they also have schemes to allow buyers to pay for improved stoves in two-year installments. Project Manager Malla said they would soon expand the project in Sindhupalchowk and Dolakha districts to increase energy access to earthquake-affected families. According to him, they are currently looking for local entrepreneurs to team up with in these two districts. The 2012 data of WHO states that 4.3 million people across the globe die prematurely annually due to various health hazards attributed to household air pollution. Among these deaths, 34 percent die due to stroke caused by chronic exposure to household air pollution, while Coronary Artery Disease, a condition that affects the supply of blood to the heart, kill 26 percent and chronic obstructive pulmonary diseases, a disease characterized by increasing breathlessness, accounts for 22 percent deaths. Likewise, pneumonia and lung cancer claims 12 percent and six percent of these deaths. After making adjustments to data of Nepal Living Standards Survey 2010-2011 of Central Bureau of Statics, studies of the Practical Action has found that 52 percent of all households in the country at present still use traditional type of cookstove that emits large number of smoke fumes responsible for such health hazards. The correction also confirmed that the government's ambitious target of making all kitchens 'smoke free' is still a long way to go.